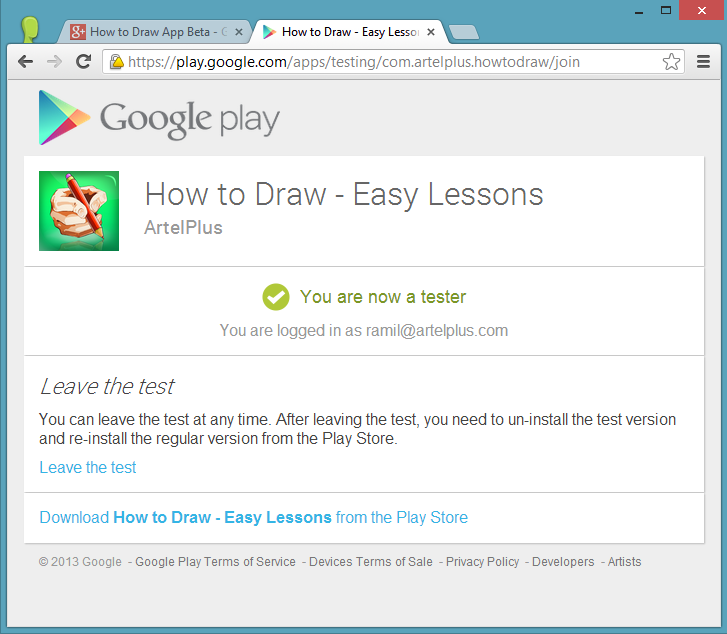 Open the next link: http://play.google.com/apps/testing/com.artelplus.howtodraw and press ‘BECOME A TESTER‘ button. And you are now a tester! 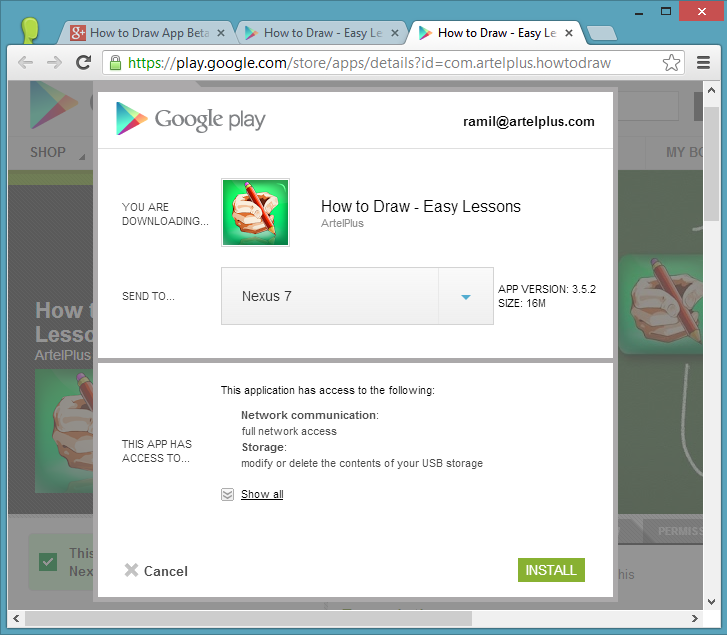 Now you can install beta version from Google Play as usual. 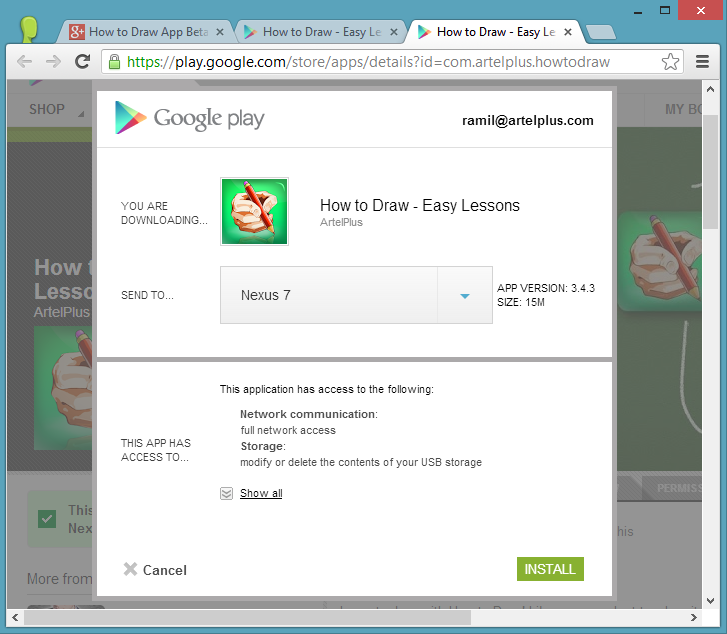 Just open this link https://play.google.com/store/apps/details?id=com.artelplus.howtodraw on your Android or Desktop browser. Make sure you are installing version 3.5.2. 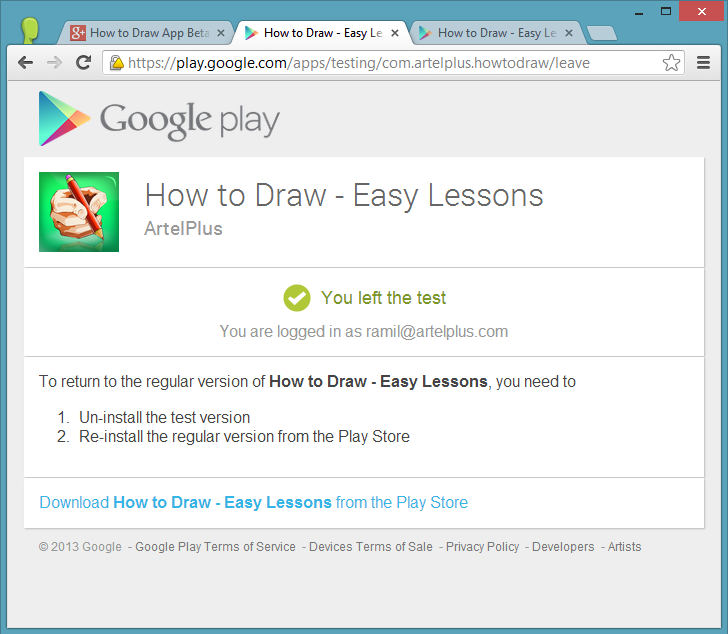 You may stop using beta version at any time – just open this link: http://play.google.com/apps/testing/com.artelplus.howtodraw and click ‘Leave the test‘. While you are in How to Draw App Beta community, you may return to testing of the beta version any time.